Create, and maintain progressive, positive ways to communicate, enabling everyone, in any relationship to optimize their full potential. 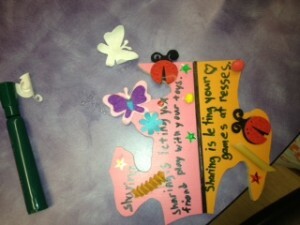 A Life in Pieces is an inclusive program of love and empowerment for children, youth and adult alike. A Life in Pieces (ALIP), its vision and process, succeeds in improving relationships for many reasons. Testimonials such as, “WOW! The energy is phenomenal! 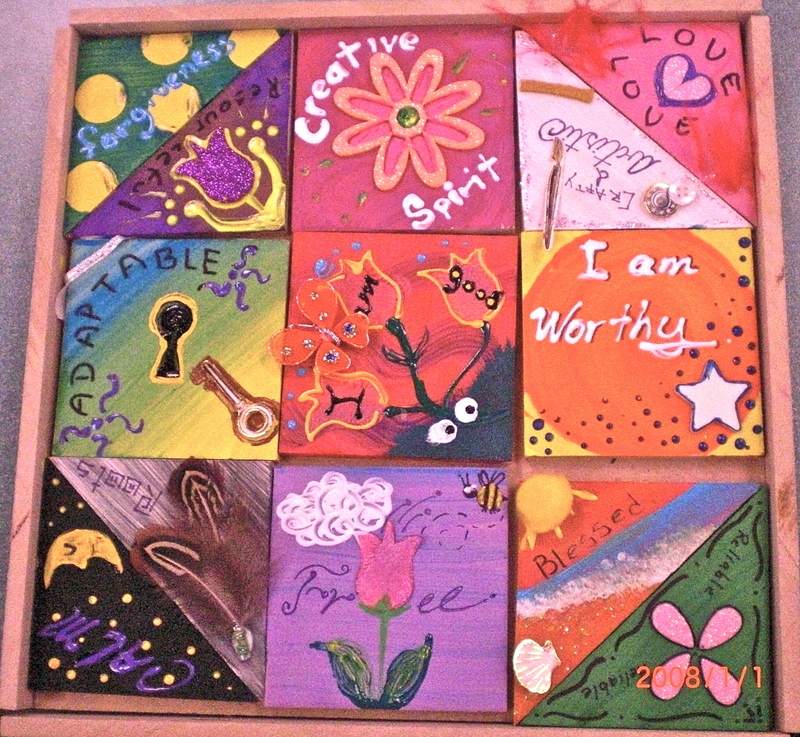 And providing tools to assist adults to create the best world is incredible. Thanks for reaffirming the joy of being with children and the wonder and excitement they bring to our lives,” are experienced due to ALIP’s recognition and belief in innate goodness and the beauty of the human spirit. ALIP acknowledges that moral excellence is pieced together from the first sign of life. Children, beginning life curious and loving, are ready and wanting to establish humane relationships. Paying attention to inner strengths, such as empathy and fairness, then intensifying and engaging these through the examination of their true meaning, creates relationships that imbue understanding and calm. ALIP explores, with the use of visual demonstrations, facts about the human brain. Often ignored in sessions relating to children and youth, this is a critical component especially when addressing feelings, emotions and behavior, as the brain is all of these combined – the brain IS behavior. As facts – such as the brain is shaped by experience and environment – piece together, so do solutions to the epidemic of inappropriate behavior, including bullying (see more on bullying in ALIP NEWS). When regarding emotions, feelings and behavior the environment is decisive, therefore we as adults can find control over inappropriate behavior, including bullying, when we build and sustain optimum environments. The ALIP vision, assuring safe and loving environments, generates and maintains positive choices and good behavior in children/youth and adults. ALIP is explored and solidified through workshops that utilize the ALIP versatile puzzle tool, on which words of goodwill like kind and fair are inscribed and come to life through created masterpieces of song, art and poetry. 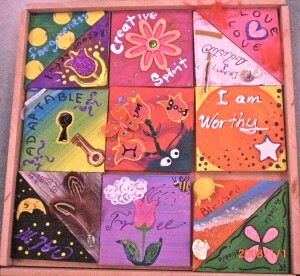 The life puzzle, combined with a program manual, ensure the continual embodiment of spirit and growth in positive relationships. The results from attendees – “I feel so much better. This is just what I needed. Loved the puzzle activity! 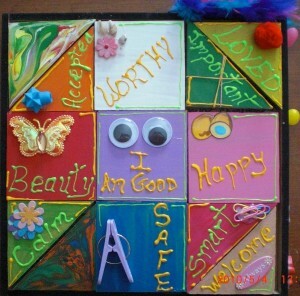 Awesome message – I am so thankful I heard you!“ ALIP proves to decrease stress with the realization that necessary life skills like co-operation, respect, sharing (see puzzle piece to the left) do not have to be trained; they already exist in heart and mind (in every particle of the puzzle). 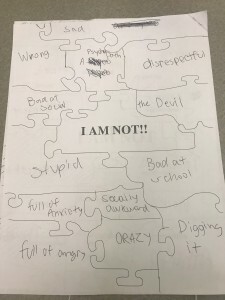 ALIP permits the disclosure of negative feelings that arise from judgement and misinterpretation of character through the “I AM NOT”/blackhole puzzle. While eliminating “nicknames” given throughout years of judgement, like hyper; whiny; oppositional; controlling, participants acknowledge, for the first time, the deep insult to spirit and derive hope in reclaiming their life. Through acknowledging hurt, the path of truth begins. If peace in a diverse world is to exist for all of humanity, then we must embrace a universal process that will make a global population happy and successful. ALIP invites all to experience this very approach to peace and reap its rewards. Adults, stop before you post! There are consequences to your actions!